At MOCEAN, our philosophy is simple: we spend literally hundreds of hours per year searching for the best brands and styles, so you don't have to. Our highly qualified staff will make sure that you look your best, whether you're off to a dinner date or off to go kayaking. For all life's adventures... there is MOCEAN. KATHLEEN IS KNOWN AS "THE WOMAN OF STEEL" WHO ALWAYS DREAMED OF DOING THIS. LARRY IS KNOWN AS "LARRY THE WELDER DUDE" HERE IN NH , TOGETHER THEY ARE A PERFECT COLLABORATING TEAM. 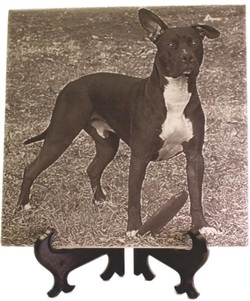 THEY CREATE ORIGINAL "CUSTOM STEEL SCULPTURES" HAND CRAFTED TO PERFECTION FOR A REALISTIC LOOK THAT ONLY SEEING IS BELIEVING. HAND CUT WITH AN ACETYLENE/ OXYGEN TORCH WITH THEIR TRADEMARK PROCESS KNOWN AS "VLAM KLEUR"
"THE COLORS WILL CHANGE DEPENDING ON THE ANGLE OF LIGHT"
Unique gifts as individual as you are! Have something lasting and personal made to show how much they mean to you. Locally Grown. Hand-Built in Maine. 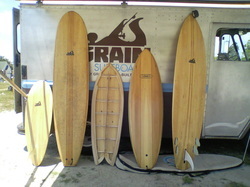 Grain Surfboards began in the basement of a home minutes from the waves in York Beach, Maine. Grain has grown into a full-fledged surfboard manufacturer known for innovative techniques, classic designs and ground-breaking products. We are proud to be North American distributors of Settanyl brand cord from Linhas Setta. 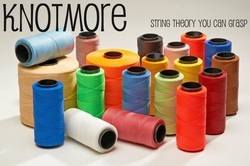 We, KnotMore.com, a.k.a Dawn Standera of Macrame Collective and Karen Forbes, have been just as frustrated as you with high shipping costs plus the lack of availability both in color and quantity of Brazilian waxed polyester cord. So we imported 9,100 spools of cord ready to ship to you, our customer! KnotMore has all 75 colors of Settanyl in stock and ready to ship. Each spool has 175 yards (160 meters) – that's a lot of cord! Don't need 175 yards? No worries, you can buy 50 feet at a time. 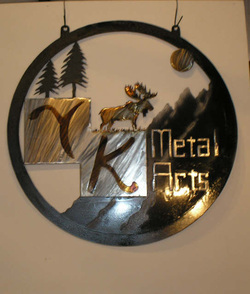 Dawn and Karen are knotters and are committed to the promotion of this art form as well as you, the artist, our customer. Keep in touch. and we'll do our best to make it happen. And remember, don't knot less.....KnotMore! Roots make handmade bespoke longboard decks. Choose a colour, choose a design and contact us with your spec.